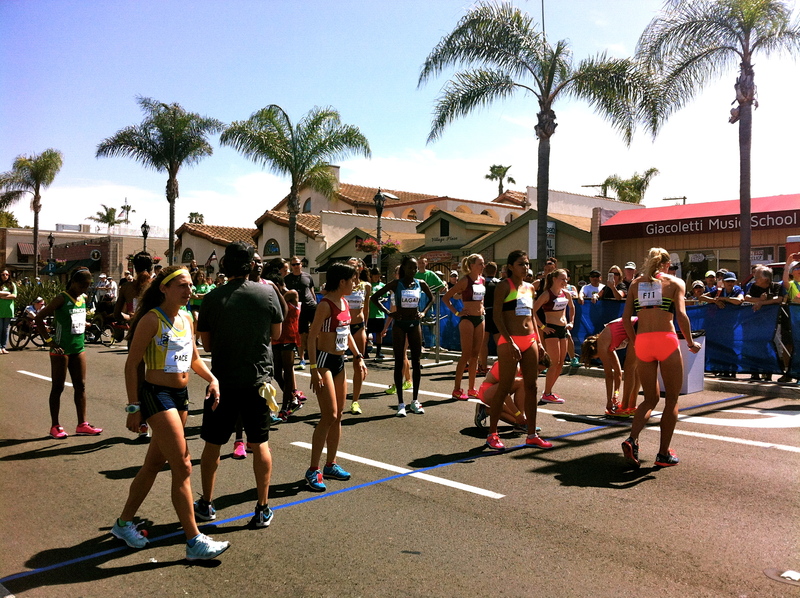 Carlsbad 5000 Race Recap- Back to Back Weekend Races! Good morning and happy Monday! It’s the first day back at school for me and also sadly, the last first day of school for me as I start my last quarter!! It is crazy to think about how time flies, but I enjoyed my last day of spring break the best way I know how: at a race! 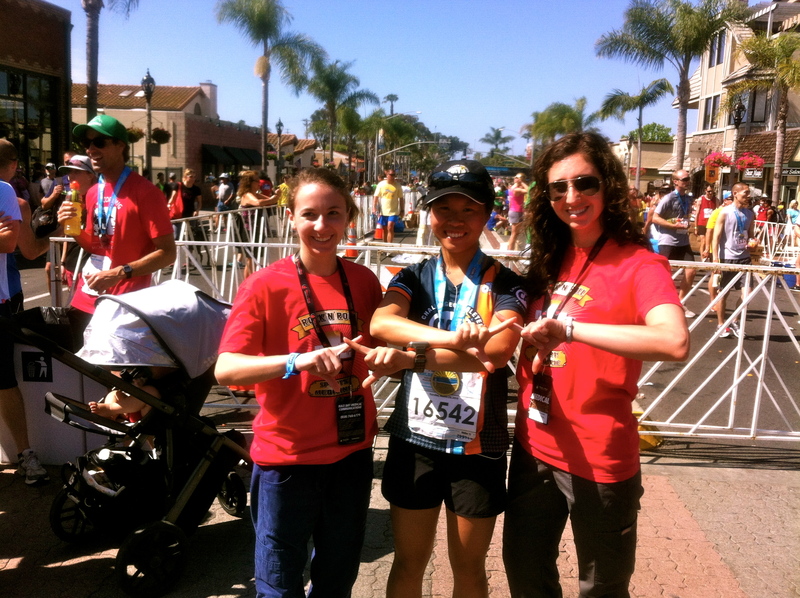 I decided to do the Carlsbad 5000 pretty spur of the moment and one of my friends was volunteering that day, so it made it easy to get there and back. It was an amazing race and I took home a 5K PR! One of my few races without Anthony aka my support crew, so that meant having to figure out how to take selfies to get in the cool start line as well as wearing a trash bag as a jacket for easy disposable reasons. 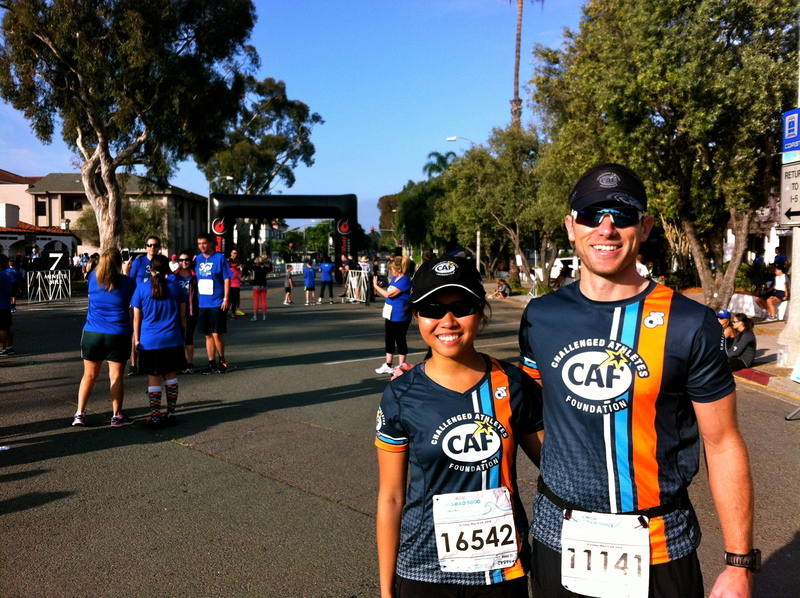 My coach was running the Carlsbad 5000. 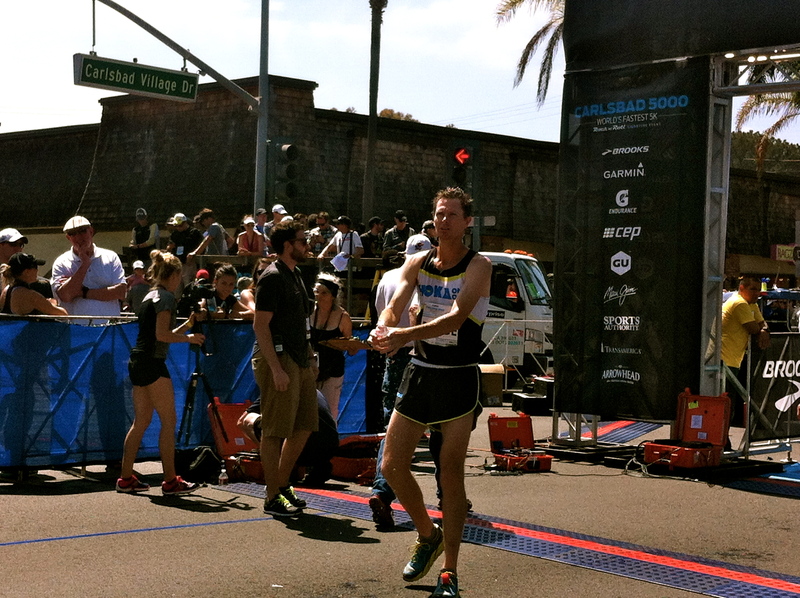 This was his seventh year running it and each year, he sets a new PR on this course. He copied my outfit but it’s okay, since he leads and trains me to most of my victories! I accidentally ran in the wrong age group that morning. 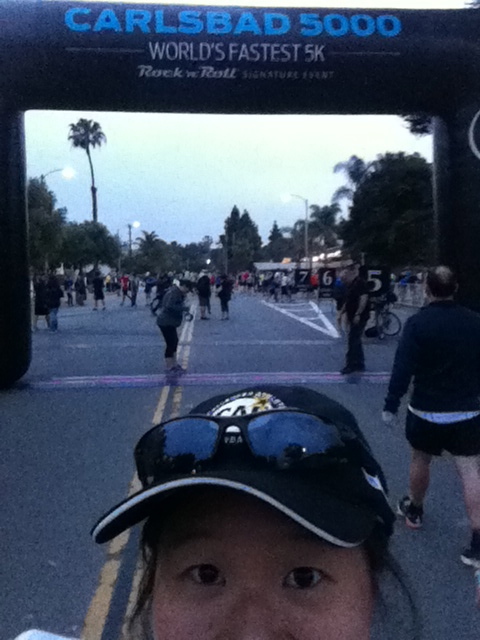 I didn’t realize the 5K was split into waves by age group and ran with the Master’s 40+ Men……. I don’t know why I didn’t realize it earlier and I emailed Competitor to see if they can move my time over to the right age group, but boy did I feel silly!! I kept wondering why I didn’t see Jason on the course or at the finish line, not realizing he was coming for the RIGHT age group. Woops. Regardless, the course was beautiful and fast. 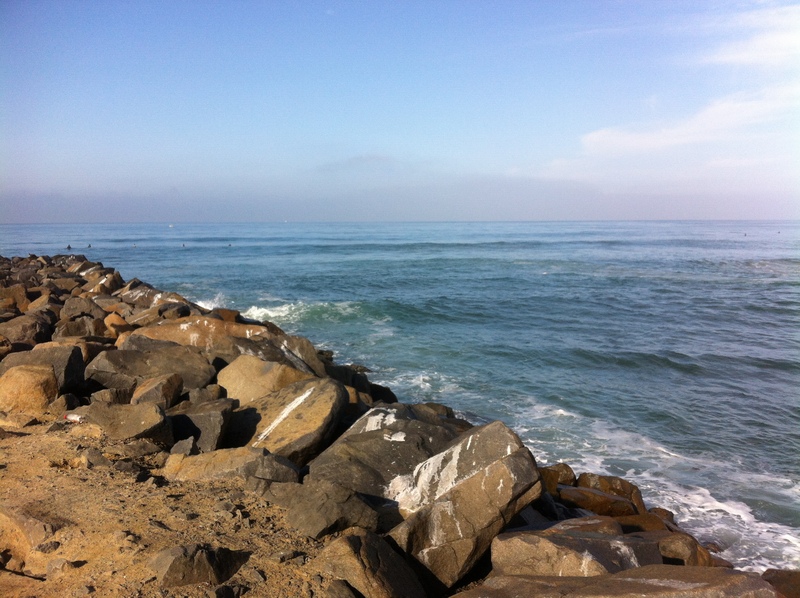 I love the city of Carlsbad and I haven’t gotten to spend a lot of time there in the past. It’s a few cities away in San Diego and after almost 4 years of living here, I am just starting to realize just how big it is and you can drive up to an hour and a half from one end of the city to another, depending on traffic. So running there was such a happy and refreshing change of pace. My legs and lungs felt really good the first two miles with a 7:06 average pace. My goal that day was to break 23 minutes and I figured 23:00 would make me happy enough. Surely, at mile 2 and a half, I started to fall apart. I forgot why I enjoyed longer distances more and to this day, the pacing in a 5K throws me off. However, I finished in a time better than I dreamed of: 22:36! A minute faster than my past 5K time a little over 6 months ago! I was beyond thrilled. 10th in my female age group too… once they move over my time and all :) I had 13.1 miles on the schedule that day, so after the race and hanging around a bit, I went to finish the rest of the 10 miles. Seriously, go run somewhere new. It is so good for the soul. I did a few miles along the Pacific Coast Highway, then swung back into town to see if I could see Jason during his run. He wanted to sub-18 this time around on the course. Just in the knick of time, as he’s getting to 2.5 miles! 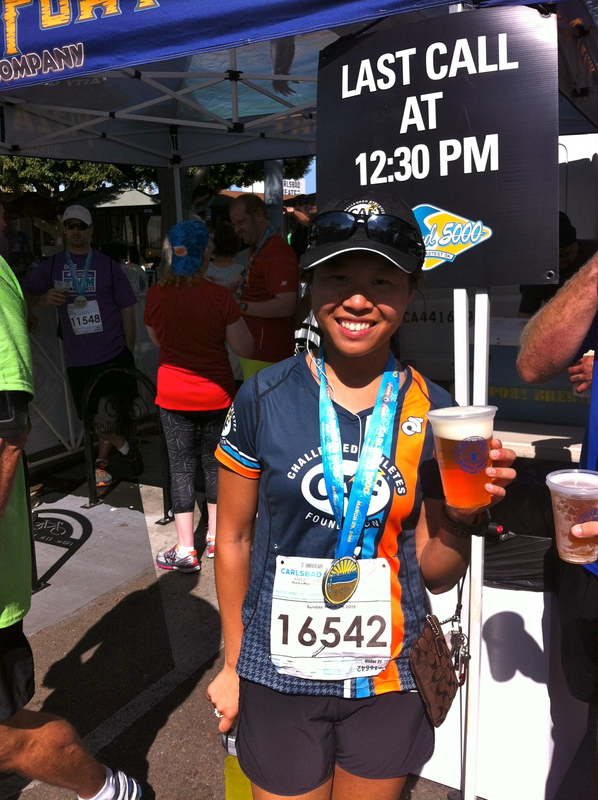 My favorite way and time to drink beer: at a beer garden post race and post long run. So thankful that my sisters were med tent volunteers. Both of them are alum and it’s been way too long since I’ve seen them or hung out with them. After my run, it was jumping between talking and catching up with them, hanging out with Jason and one of his teammates, and snagging free things at the Expo! 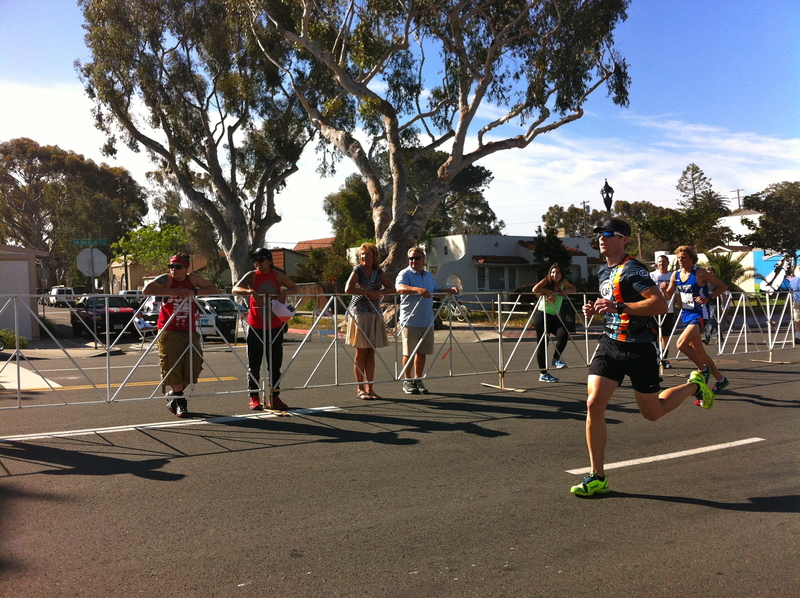 And the moment I’ve been waiting for: watching the elite women race at the Carlsbad 5000! 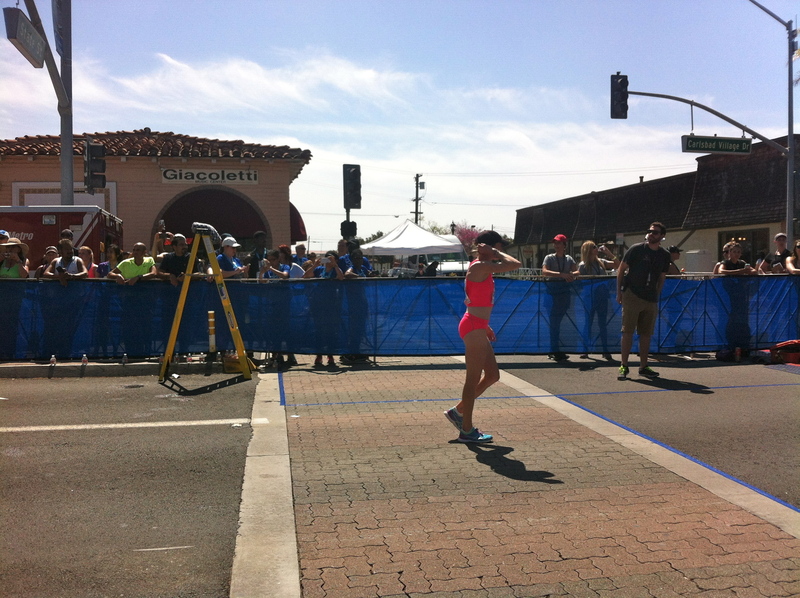 There were three women in particular I wanted to see, Stephanie Rothstein, Deena Kastor, and Juliet Bottoroff. I was so sad when I missed Stephanie in another wave but seeing the rest of these awesome ladies was so inspiring! Looking great, in that hot pink, Deena! Then the elite men. Hey there, Ben Bruce! It’s crazy to see all of these athletes I follow and admire, just a few feet away from me. They have some pretty intense pre-race traditions too, like dumping bottles of water on their heads to keep cool. Caught a photo with Juliet! She is a recent elite athlete with B.A.A. and their training team is out in San Diego. Not to mention one of the sweetest people I’ve ever met, even though I talked to her for less than 5 minutes. Sometimes, you can just tell! 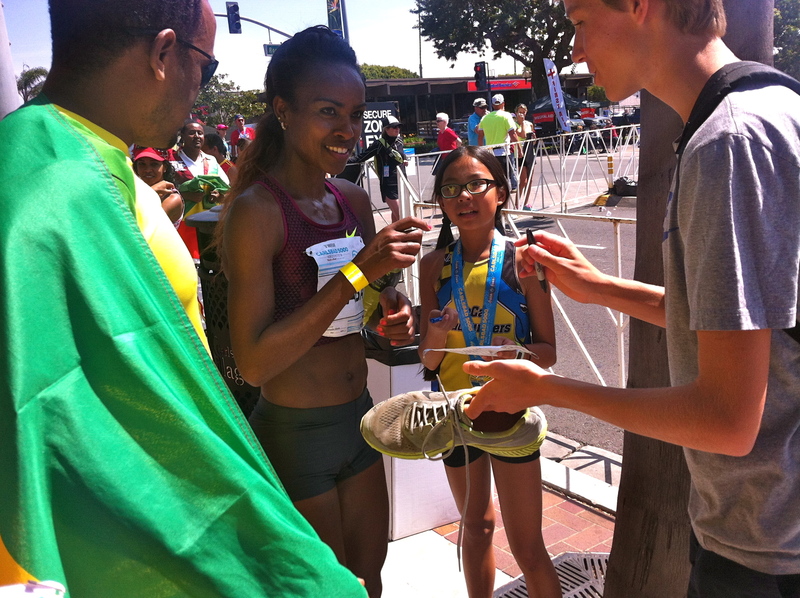 This is Genzebe Dibaba. 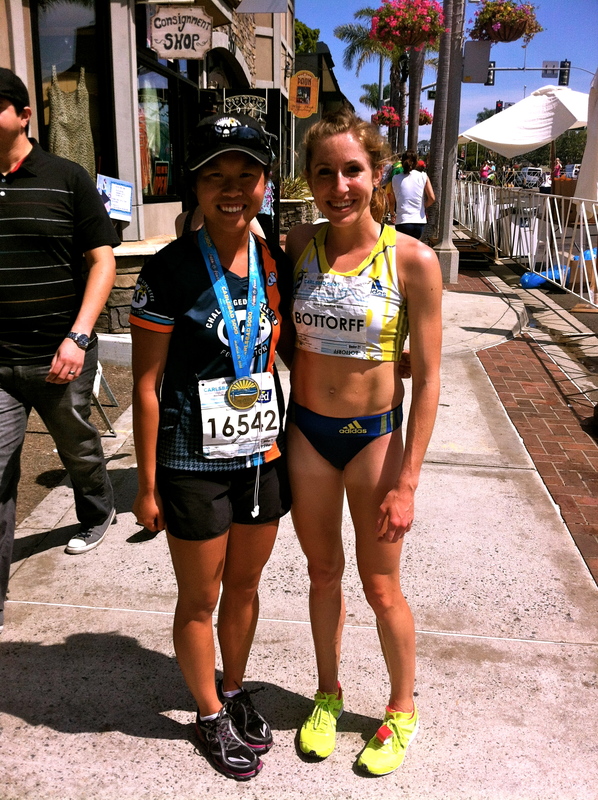 She won the Carlsbad 5000 for elite females and was 2 seconds short of breaking the world record for the 5K!!! Second fastest 5K time in history! After all the elites ran, my friends and I were so hungry so we walked to Pizza Port, which was a major sponsor of the race. 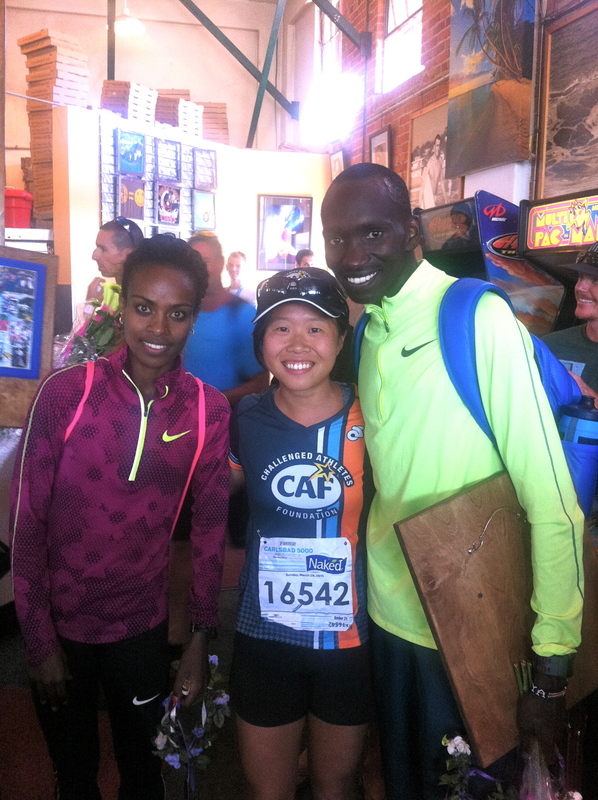 In the middle of eating, I almost choked because Dibaba and Lawi (the winner of the male elites) came through the door. I couldn’t believe my eyes and they were walking to right where I was sitting!! Thankfully my friend knew more than anything I wanted a photo with them and had her camera ready. I could not think of a better way to spend my last day of spring break and probably my last spring break ever! So happy to have ran, PRed, and met so many amazing people yesterday!